Fun, energetic vinyasa based class. Email me for class pricing information, I have a good rate for this class! Start your weekend with an open, playful and exploratory Hatha Yoga practice every Saturday morning! Linda will lead you in a unique and energetic series of postures and sequences, exploring the depths and nuances of the breath as naturally linked with movement in fun and playful variations, emphasizing a happy and heart based practice. All levels are welcome but some experience is recommended. A challenging and strength building level one class. 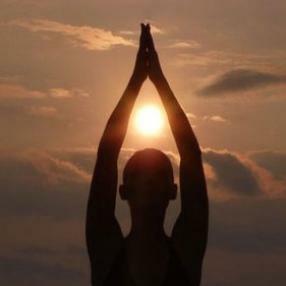 Emphasis on alignment and deepening our understanding of our bodies and all the potential there. This is an all-level Yoga Flow class - no experience or equipment necessary! YOGA TUNE UP® IS A CONSCIOUS THERAPY PRACTICE THAT COMBINES YOGA, SELF-MASSAGE AND CORRECTIVE EXERCISES TO RELIEVE PAIN, IMPROVE POSTURE AND ENHANCE PERFORMANCE. THE UNIQUE COMBINATION OF THESE TECHNIQUES HELPS IDENTIFY THE BODY BLIND SPOTS, RELEASE MUSCLE TENSION, AND INCREASE JOINT MOBILITY. 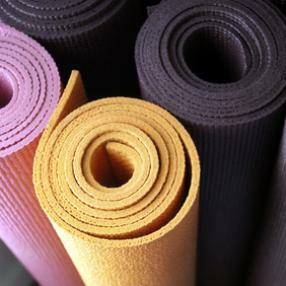 YOGA TUNE UP® INCLUDES PRANAYAMA AND RESTORATIVE PRACTICE, WHICH BALANCE THE NERVOUS SYSTEM. THE REGULAR PRACTICE OF YOGA TUNE UP® PROMOTES BODY AND MIND AWARENESS AND ESTABLISHES HEALTHY MOVEMENT PATTERNS. THIS CLASS IS RECOMMENDED FOR PEOPLE COMING FROM ANY BACKGROUND, NEWCOMERS AND SEASONED MOVEMENT PRACTITIONERS ARE EQUALLY WELCOME. A strong focus on basic Hatha Yoga poses (Asana), intro to breath work (Pranayama) and Yogic philosophy. This class will bring strength and flexibility to your body and prepare you for arm balances, inversions and back bends. Level 1 class including standing poses, forward and back extensions, and sarvangasana variations. This varied class is suitable for all levels of practitioners, from beginning to experienced students. Building on the foundational teachings of BKS Iyengar, this class will offer a continued and deepened exploration of asanas and pranayamas, with an aim towards developing and supporting a self-directed yoga practice. Come join us in building strength, confidence and stamina while nurturing and refreshing body and mind. This is the same powerful format that we offer on Tuesdays and Thursdays in the evening. A combination of Vinyasa Flow, Strength and Hold to improve endurance, flexibility, strength and coordination. Prenatal yoga helps prepare the body and the mind for labor and delivery. The body awareness we cultivate with the practice will help tune you in to the new sensations in your body, and the breath will help guide you through the challenges of labor and delivery. Yoga will build your strength and stamina along with a deeper connection to baby. We have a rotating schedule of classes on Saturday afternoons. Check the website. Class could be pranayama, Shakti Shot dynamic flow, QiGong, or even yoga and wine. Occasionally there is a workshop at a separate charge. 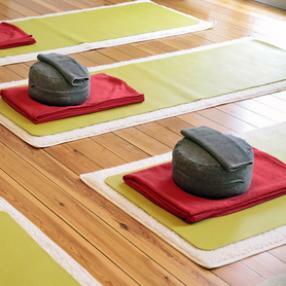 This class is 70 minutes of Yin Yoga (slow deep stretch) followed by 20 minutes of Yoga Nidra. 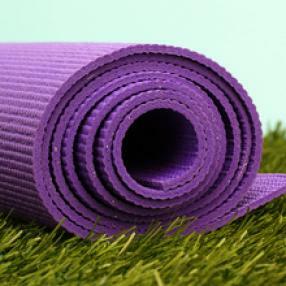 Yin Yoga comes from the Taoist tradition of being in harmony with the rhythm and flow of nature. Yin emphasizes long mindful holds (2 to 5 minutes) that promote growth, clear energetic blockages and enhance circulation. Yin is an excellent practice for increasing flexibility, meditation, injured/active athletes, and those new to yoga. Yoga Nidra is one of the deepest forms of guided relaxation, leading awareness through many levels of mental processes to a state of profound stillness and insight. In Yoga nidra, one leaves the Waking state, goes beyond the Dreaming state, and enters into Dreamless Sleep while remaining awake.